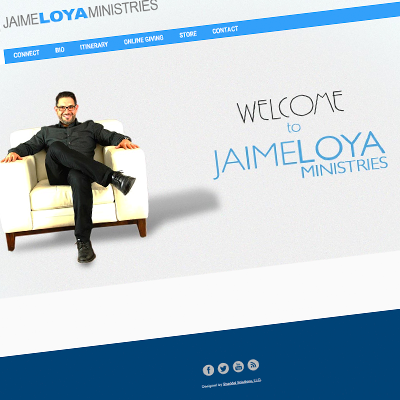 Pastor Jaime Loya is one the pioneers ministers in the Rio Grande Valley, he leads the largest growing church in South Texas and his ministry is conducive to people of all ages and all walks of life. Pastor Loya teaches people how to apply God’s truth in every area of their life and encourages them to influence the world around them. As a public person, he needed a place where he can keep his schedule organized and opened for people that wants for him to share at their church, conference or event, the “Gospel” – Which is the word of God. Shaddai Solutions knows and understands the need in the church and the ministers. We are ready to build that bridge between lost people and a leader like Jaime.